The Bunker Hill Chamber of Commerce has been working to promote commerce in the Bunker Hill area for over 40 years. Through cooperation with local city government, the Chamber works to bring emerging businesses to Bunker Hill while supporting and encouraging local merchants. Download Our New EZ Card Today! From your mobile phone: Text bhill to 72727. 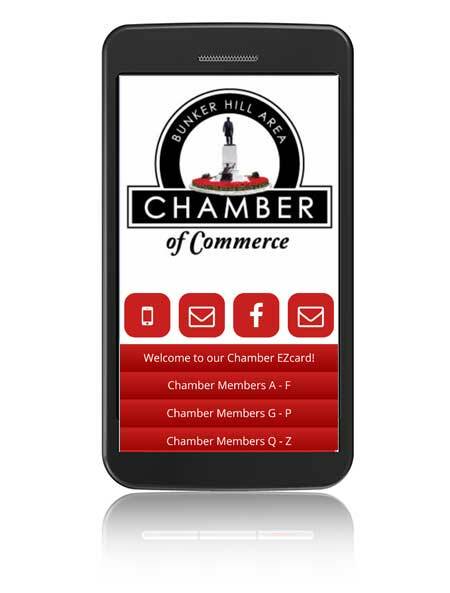 You will receive a link to download the new Bunker Hill Are Chamber of Commerce EZ Card. Or you can visit ezcard.com/?1390. Bunker Hill Area Chamber of Commerce Members!